From the dogs we know, cheese is definitely in the ‘delicious’ category – but can dogs eat cheese? 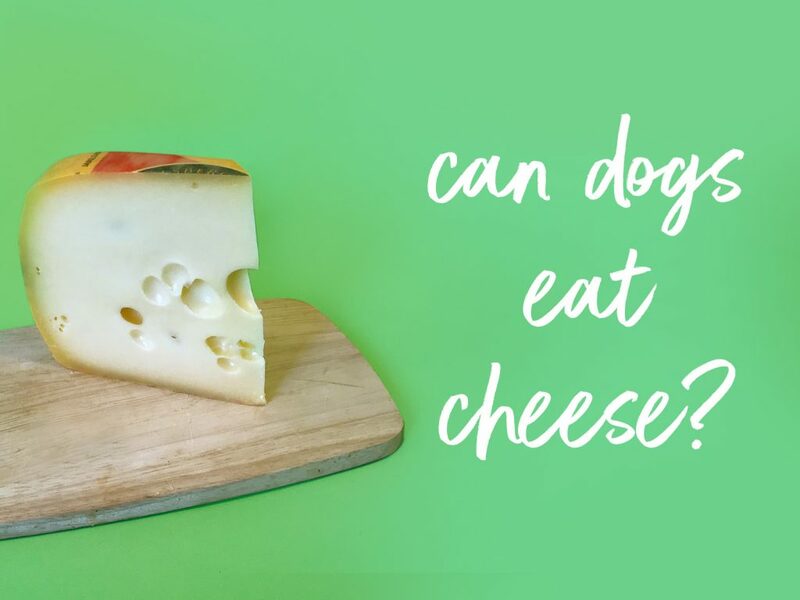 You probably suspect the answer already: dog’s can have cheese, but it’s high in lactose, fat and salt, so it isn’t great for their digestion. But then cheese isn’t great for humans either: it’s all about knowing the facts, and weighing up your options. Is cheese bad for dogs? The short answer is ‘it can be’ – while we don’t recommend you give dogs cheese, some owners do use small amounts of cheese as a treat. Cheeses with added ingredients can be actively harmful, like garlic and certain blue cheese moulds, so definitely keep your dog away from the Boursin or the Christmas cheese board. Most other cheese can be OK for dogs in small amounts – but there are lots of healthier options for delicious doggie treats. Perhaps a better question is ‘how bad is cheese for dogs’? You might decide to use cheese for training, or to help your dog take medication. But there are other delicious ways to help the medicine go down – check our handy guide, based on habits, disguise and reward. And when it comes to training, there’s a whole range of dog-specific treats you can use, which will be just as effective and much better for your dog’s digestion. Peanut butter – a small amount of peanut butter makes an excellent indulgent treat. Just keep the quantity low, and make sure it’s xylitol-free. We don’t recommend including cheese as a regular part of your dog’s diet – especially if your dog needs to lose weight. There are many other alternatives that are both delicious and nutritious. At tails.com, we create a bespoke feeding plan for your dog, based on their nutritional needs. We include treats in their feeding plan too – so if you do decide to use cheese as a treat now and then, make sure you record it in your dog’s tails.com profile so we can keep everything up to date. Got more cheesy questions? Our veterinary and nutritionist team is here to help – get in touch at hello@tails.com. Can dogs eat exotic fruits? I do find the dry food bags a little fiddly to seal particularly when they are full. Is there any possibility of adding a slider to seal the bag as on freezer bags etc? We’d love to take a look and see if we can make some changes and get Holly loving her food again. Can you send us an email to hello@tails.com so our Customer Experience team can help out? I complained about poor seal on the dog food bags over a year ago. Hence I am an ex dog food buyer from you. I am struggling to use the food . We can definitely take a look at your dog’s blend and consider some changes to help. Can you send us an email to hello@tails.com? If you need any assistance, you can send us an email to hello@tails.com and we’ll be happy to help out.